18. Diamond Drop and Frame Earrings: This delicate pair of diamond earrings has been in Mary's collection for years; one of their most prominent outings was at the christening of Princess Isabella in July 2007. 17. Pearl-Tipped Gold Bangle Bracelet: This delicate bracelet was Mary's engagement present from her mother-in-law, Queen Margrethe II of Denmark. She wore it in public for the first time during an October 2003 state visit from Luxembourg (pictured above). 16. 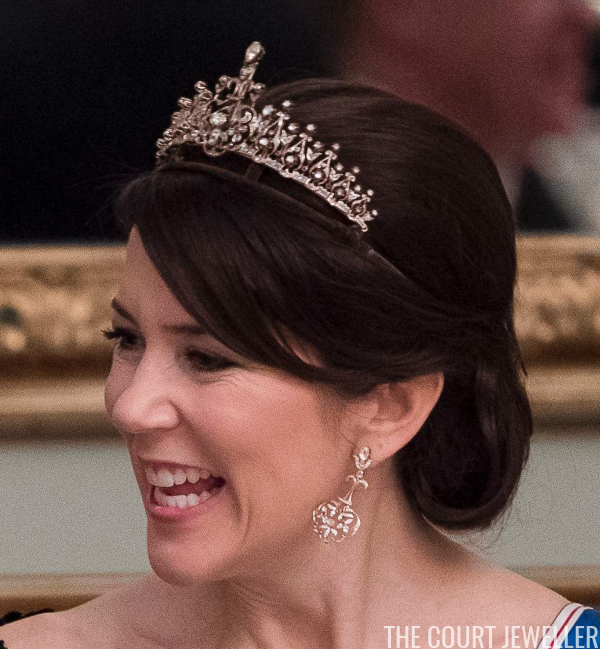 Ole Lynggaard Hair Ornament: In lieu of a tiara, Mary wore this modern hair ornament from Ole Lynggaard Copenhagen at a gala celebrating King Carl XVI Gustaf of Sweden's 70th birthday in April 2016. 15. Round Diamond Brooch: This classic diamond brooch, worn above by Mary to greet the Prince of Wales and the Duchess of Cornwall in March 2012, is thought to have been a gift from her father-in-law, Prince Henrik. 14. Annikat Blue Topaz Earrings: Mary's worn these blue topaz, sapphire, and diamond earrings by Annikat for many occasions in recent years; above, she wears them at the American Chamber of Commerce Denmark's 15th Anniversary gala dinner in October 2014. 13. 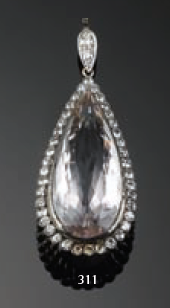 Morganite Pendant: This classic morganite pendant was purchased from the Danish auction house Bruun Rasmussen; you can see photos of Mary wearing it with her pearl necklace over here! 12. 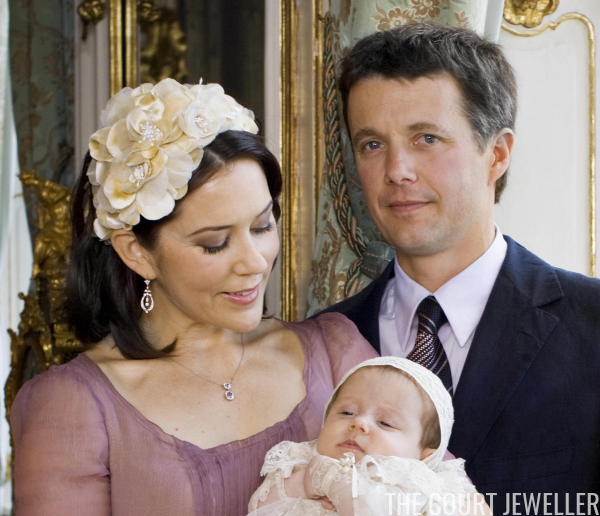 Lynggaard Morganite Suite: Mary also has a demi-parure of diamond and morganite jewels from Ole Lynggaard Copenhagen, which she wore at the 2010 pre-wedding dinner for Crown Princess Victoria and Prince Daniel of Sweden. 11. Amethyst Briolette Earrings: This pair of dramatic earrings features amethyst briolette drops suspended from a long diamond chain. Mary wore them during Queen Margrethe's Ruby Jubilee in January 2012. 10. 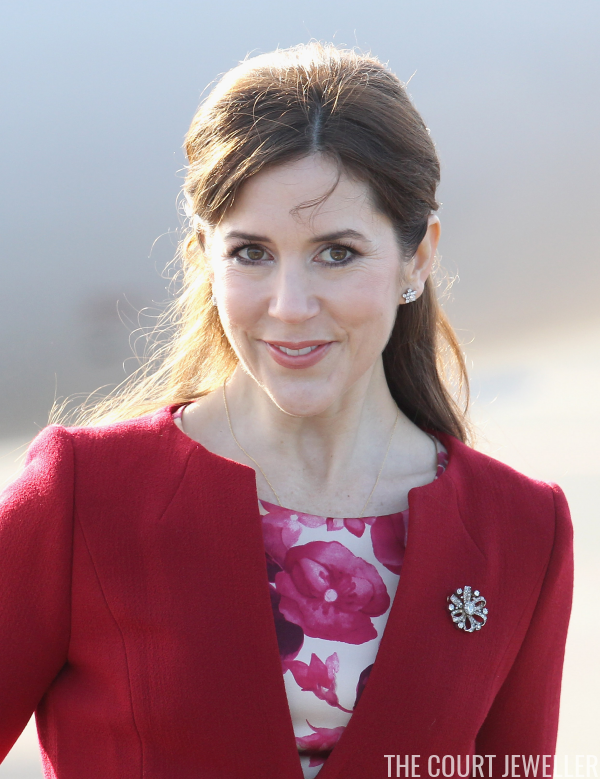 New Edwardian Earrings: Mary recently debuted this new pair of earrings, which look to have been made to coordinate with her Edwardian Tiara, at a January 2017 state banquet for the President of Iceland. See the top pieces of jewelry from Mary's collection here tomorrow afternoon!